From the collective minds of and Gil Losi comes a complete redesign of the AKA buggy wheel. Now that AKA's closed cell foams have become an industry standard it became apparent to us that all the current wheels are too soft to support the now stiffer inserts and the ever increasing G forces of modern 1:8 buggies. The goal was to achieve a stiffer wheel without sacrificing weight or durability. Gil were able to reach this goal by first changing the face of the wheel from convex to concave. 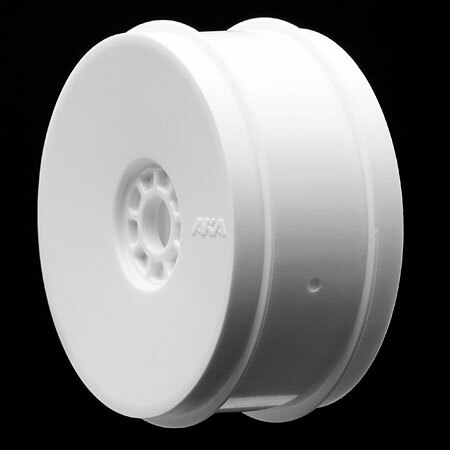 This design change helps the EVO wheel deal with higher G loads without distortion of the face of the wheel. Next they were able to kill two birds with one stone by developing an optional internal dish which serves two purposes. The first and most important purpose is to further stiffen the wheel and especially help the inner most bead hold it's shape. The second purpose of this dish is to block dirt from being trapped within the inner ribbing of the wheel causing the wheel to go out of balance. 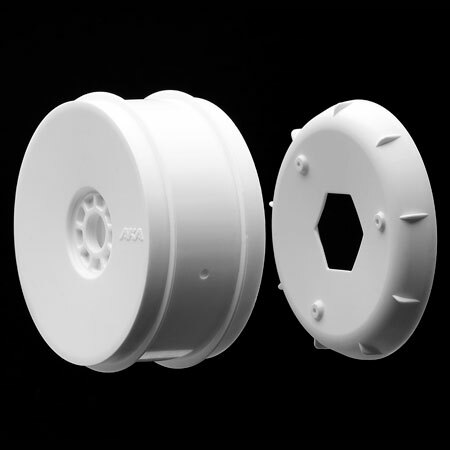 These design innovations allowed the wheel to be stiffer without going to stiffer and therefore more brittle plastic. 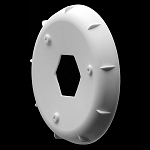 It also avoided having to increase wall thickness which gives up clearance and adds unwanted rotating mass. The advantage of the stiffer EVO wheel shows up immediately with higher corner speeds, more consistent handling in the bumps and effortless jumping. 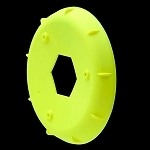 The EVO is made from the super durable impact modified AKA nylon that current AKA customers are used to. 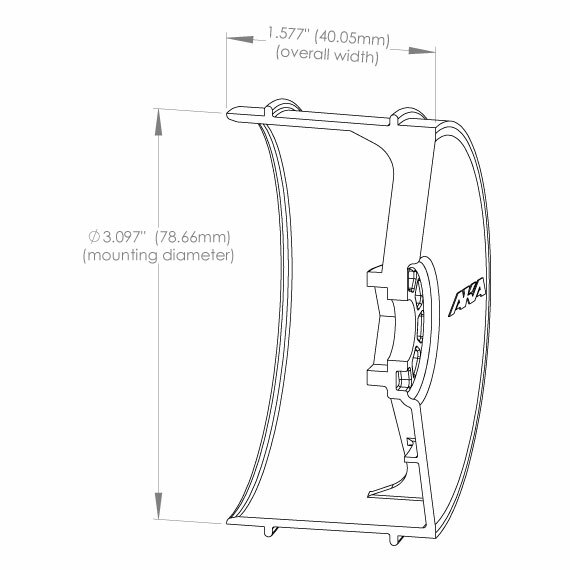 The optional inner wheel stiffeners are available separately in sets of four in both white and yellow and are removable and transferable from set to set. The EVO wheel can be used without the inner stiffener, but we know once you use the stiffeners, you won't want to go back.